Samantha is an Associate in the firm's Creditors' Rights and Bankruptcy practice group. She has experience handling various business and commercial matters. She represents business entities, financial institutions, and individuals in the areas of commercial contracts and transactions, shareholder and partnership disputes, real estate litigation, insurance disputes, and other commercial litigation matters in both federal and state courts. 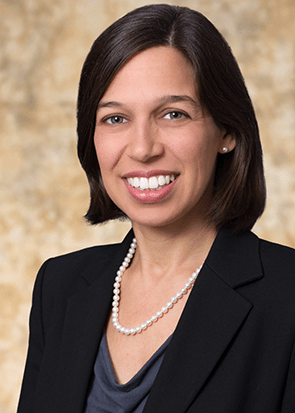 She also has extensive experience with commercial loan litigation and workouts, lender liability defense, and other financial services and banking litigation. She has served as in-house counsel for the fifth largest solid waste company in the country, and has handled a successful jury trial over a contract dispute in state court.